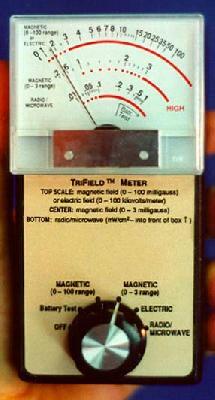 I own an "original" model TriField (TM) meter made by AlphaLabs in Utah. These are amazingly sensitive devices and employ some sophisticated circuitry to do the job they do. As is the case with most of the tools in a ghost hunter's bag of tricks, we often press technologies meant for one purpose to use in another out of sheer necessity and by virtue of the fact that the tool WORKS when detecting paranormal phenomena. As I'm still learning to use my meter, I thought it wise to collect, in one place, as much information as possible about the use of these meters in paranormal research along with a "How-To" for the average investigator. I'm also putting specifications from the manufacturer into the article so there is one complete source to look to. Always check the sources for new and more recent information just to be sure but do know we will try to keep this article updated over time. So we'll cover a short history of the device, it's uses and then get right into the "How-To" for our intended purposes. At the end of the article, we'll provide specifications and reference data direct from the manufacturer web sites ( with links ). I am uncertain as to this date if the magnetic or electric field on the original trifield is the correct setting to use for detecting a haunt. The "Natural" model uses a "sum" setting to bring both inputs into one simple measurement but I think the original model would be best used in the magnetic at the zero-3 milligauss setting for paranormal research. I'm hoping to stand corrected by some knowing source out there so I can correct this part of the article if I am off in this assertion. I will, for the time being try an investigation with using various settings to see how it goes and then comment more as my experiences progress. The TriField Natural EM Meter detects changes in extremely weak static (or natural") electric and magnetic fields. It signals with both a tone and the movement of a needle-type gauge if either the electric or magnetic field changes from previous levels. A radio and microwave detector is also included, which reads radio power directly if any transmitters are nearby. Since man-made AC electric and magnetic fields are very common and could interfere with readings of static fields, the meter has been designed to ignore the AC fields of power lines, appliances, etc. This meter was designed to satisfy the need for natural field measurements in specialized research areas. It can detect "geomagnetic storms" caused by unusual solar activity interacting with the ionosphere (which results in rapid changes of up to 10% in the Earth's magnetic field), as well as the electrical activity of ordinary thunder storms. Ball lightning should in theory be associated with a strong magnetic field, and magnetization of metal has been reported with some UFO sightings. When set on MAGNETIC, the Natural EM Meter will signal the movement of any strong magnetic source in the sky, even if the sky is cloudy or the source dips behind a hill. Since construction materials generally do not block magnetic fields, the meter can be placed indoors and work equally well. The built-in tone allows its use in the dark. The meter is sensitive to changes of as little as 0.5% of the strength of the Earth's magnetic field, and the tone will sound whether the field increases or decreases. If the magnetic field then becomes stable for more than about five seconds, the tone will stop and the needle will return to zero. The meter will remain at rest until the field changes again. The threshold level, or "squelch", of the tone is adjustable. The user determines the amount of change in the magnetic field (within a 0.5 second interval) required to sound the tone. If the field changes by a threshold amount, the tone will come on at at lower pitch. If the amount of change is large, the tone will be higher. When the dial is set to ELECTRIC, the meter is sensitive to electric fields as weak as 3 V/m (volts per meter). To illustrate just how feeble a field this is, a l0'xl0'xl0' room filled with a field of this strength has a total amount of energy equivalent to that required to lift a single grain of table salt 1/50th of an inch. Indoors, electric fields typically fluctuate 1 or 2 V/m. By setting the minimum sensitivity to change at 3 V/m, we have designed the meter to disregard this "background noise". Human beings and animals usually emit an electric field which is easily detectable using the Natural EM Meter. In fact, the meter can be used as a motion-activated intruder alarm. It is so sensitive that it can detect the presence of a person through a wall. Though it is not foolproof in this capacity, (sometimes a person will carry NO electric charge and thus be "invisible" to the meter), its sensitivity is of interest to researchers in the field of parapsychology, especially "ghost hunters". Every type of detectable physical manifestation requires a certain amount of energy. For example, "moving air" requires the expenditure of a small amount of energy to get the air to move initially. The original TriField ® Meter combines all the features needed for fast, accurate measurements of electromagnetic fields. It independently measures electric field and magnetic field, and is properly scaled to indicate the full magnitude of currents produced by each type of field inside a conductive body. As a result, it "sees" much more than any other electromagnetic pollution meter. Depending on where the knob is set, the meter detects either frequency- weighted magnetic fields (two separate scales), or frequency-weighted electric fields in the ELF and VLF range. It has significant sensitivity at 100,000 Hz, well past the 17,000 Hz horizontal scan of video displays. The radio/microwave setting can detect up to three billion Hz (3 GHz), which lets you gauge radio- wave power, CB and cellular phone equipment, and many types of radars. Hold the meter as shown. This prevents your hand from shielding electric fields or microwaves. (Your hand cannot shield magnetic fields.) Read the top scale when the knob is set on "MAGNETIC (0-100 range)", or on "ELECTRIC". This top scale reads 0-100 milligauss when on "MAGNETIC (0-100 range)", or 0-100 kilovolts per meter when on "ELECTRIC". For more sensitivity to weak magnetic fields, set knob on "MAGNETIC (0-3 range)", and read the center scale. When the knob is turned to "RADIO/MICROWAVE", use the bottom scale (.01-1 milliwatt per square centimeter) and point the meter toward the radio/microwave source. Avoid long term personal exposure to HIGH (red scale) readings in any setting; they pose a possible (but not yet certain) health risk. The dotted red scale is borderline exposure, and probably poses little if any health risk. Below that is generally regarded as safe for continuous exposure. Switch the knob to "Battery Test". If the battery needs replacement, the needle will be to the left of the line that is itself left of the words "Batt. Test". The ELECTRIC and RADIO/MICROWAVE settings should be low (1,elow the dotted red scale) in most parts of homes or offices, especially if you cup your hand in front of the meter or place the meter in a metal box. In the country, far from power lines, the magnetic field should also read very low (below .2 milligauss). Hold the meter near these sources, and set the knob on "MAGNETIC (01-00 range). Some of these should read greater than 10 milligauss on the top scale. Your body or hand does not shield these. Switch to RADIO/MICROWAVE and point the top (front) of the meter toward the following sources. Read the bottom scale. Your hand can shield the higher frequencies (microwave) but not lower frequencies. · Microwave ovens near door seal A reading of more than .15 KV/m (needle halfway up) at a distance of six feet suggests a leaking microwave door seal, which should be repaired. * Will also produce electric and magnetic field readings. The battery is a 9-volt rectangular type. The alkaline type will last about 30 hours of continuous use, while the transistor type will last about 10 hours. Turn the meter OFF, unscrew the back (four screws) and slowly separate the back cover. DO NOT PULL APART RAPIDLY - it may break the wires. Disconnect the battery and slide it out by pushing it out from the back. Then replace it. Reconnect the new battery and reassemble. Leave the meter OFF when not in use; even "Battery Test" will draw some power. The MAGNETIC and ELECTRIC field settings are frequency-weighted from 30 to 500 Hz and are calibrated at 50 Hz. For example, a 50 Hz magnetic field with a strength of 2 milligauss will read "2" on the meter, but 100Hz at 2 milligauss will read "4" on the meter. This is to gauge the cur-rents induced inside the body, which are proportional to field strength multiplied by frequency. From 500Hz to 1000Hz, the response is flat +1-20%. Above 1000 Hz, the magnetic and electric sensitivities of the meter slowly decrease with increasing frequency, falling to zero near 100 KHz, but with some residual sensitivity up to 100 MHz. In theory, the body's sensitivity to fields should begin to decrease at frequencies above about 500 Hz. Accuracy is +1-20% of scale reading for MAGNETIC, and +1-30% for ELECTRIC (RMS @ 50 Hz). RADIO/MICROWAVE is sensitive from 100KHz to 2.5 GHz. The range is .01-1 KV/m with accuracy of +1-30%. It reads vertical electric field in the same direction as the long dimension of the meter. The unit is warranted against defects in materials and assembly for one year from the date of purchase. Customer should return defective unit, shipping prepaid, for repair or replacement. Use of the meter is solely at the user's discretion to identify personal exposure to nonionizing electromagnetism of the strength and types believed (as of May 1992) to pose a possible health risk. Because a meter 0 this ty may malfunction, the user's responsibility is to determine if the meter is working properly by using it to measure a known reference (see CALIBRATION section of this booklet). Manufacturer or dealer cannot assume responsibility for damages resulting either from a defective meter (except to replace or repair said meter within the warranty p~ nod) or from inaccuracies in the present body of knowledge concerning the health hazards of electromagnetism. The meter should be used so that simple steps (such as moving furniture) can be taken to reduce relative exposure within a home or office. If more drastic actions are contemplated, remember that some readings in the HIGH (red) zone may ultimately prove not to pose a health risk, so consult expert advice before taking more drastic steps, and perform independent tests with another type of meter. Remember that the TriField® meter is frequency weighted, so in most environments, it will read higher in the magnetic field setting than a more traditional meter of the type used in epidemiological studies to set possible hazard thresholds. Battery-powered transmitter will have only a Radio-Microwave signal. Point top of meter toward wall (source) to detect. AC powered: if diode (no transformer) then it will have a high Electric field along the tap wire and on the transmitter itself. Again, orient top of meter toward wall, but with knob top of meter toward wall, but with knob set at "ELECTRIC"
If it has a step down transformer, the magnetic signal will be very strong within 3 foot of the transformer and will go off-scale (>100) on the least sensitive magnetic range (MAGNETIC 0-100) if 6" or less from the transformer. http://www.trifield.com/EMF_meter.htm - The manufacturer web site. http://www.sgha.net/articles/naturaltrifield.html - Good instructional article on the "Natural" model but should be usable for the original model too. 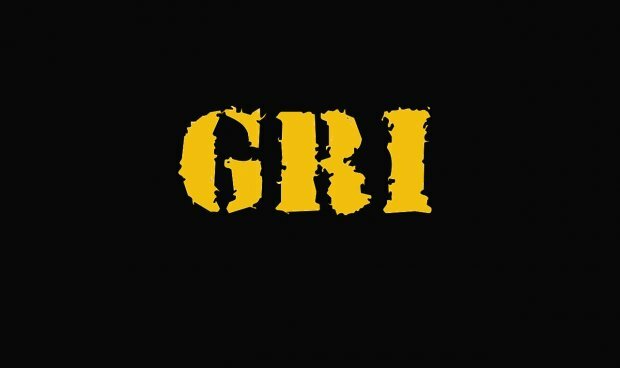 http://paranormal.ghost-rider-investigations.com/filemgmt/visit.php?lid=21 - A nice article from the Munroe Falls Paranormal Society and pasted on our site as a permanent reference because it is just so well written. All credits go to the author and MFPS. http://altered-state.com/trifield/trifield.htm - Nice article with how-to usage. http://www.the-atlantic-paranormal-society.com/articles/technical/trifieldemf.html - TAPS article on the original TriField meter. http://www.tprconline.com/index.php?topic=40447.20;wap2 - Nice thread on the differences in the Alpha Lab natural versus original models.